HA NOI (VNS)— Foreign students planning to study in Viet Nam are required to fill their information in Viet Nam International Education Development (VIED)'s official website within 30 days of their arrival in Viet Nam. The requirement will come into effect following a new regulation, which was recently signed by Deputy Minister of Education and Training Tran Quang Quy. As per the new regulation, foreign students should update their information annually or whenever any change had occurred. The foreign students at high school, vocational training school, college, or university were expected to be proficient in the Vietnamese language enough for the respective educational levels, he emphasized. The age of the enrolled foreign students should be within the limit under the agreements signed between Viet Nam and other countries, territories, or international organisations, he added. 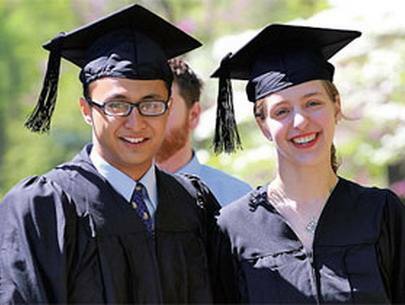 However, the age limit was not a binding factor for foreign students who are self-financing their studies or studying in Viet Nam under other scholarships, he said. Additionally, the foreign students were required to furnish five types of legal documents, such as a copy of their passport, a copy of Vietnamese proficiency certificate or a reference letter by two scientists for foreign postgraduates, he remarked.